This was a very popular dish in my restaurant. 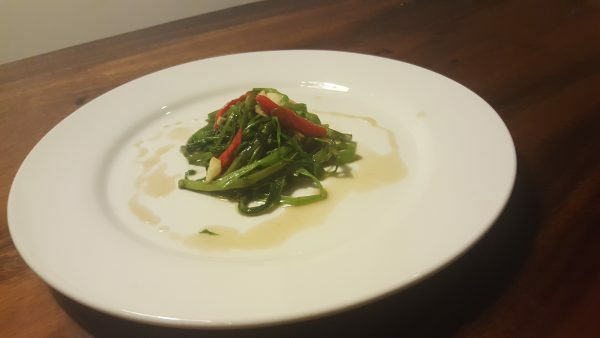 It’s so easy to cook morning glory, which is cheap and healthy green vegetable easily found in Cambodia. Add as much chili as you can handle and eat quickly while still a little crispy!